The Press Backdrop Stand is perfect as a media background for photographic and filming opportunities at press conferences, football interviews, awards ceremonies, sporting events, stage performances, retail displays and even private parties. 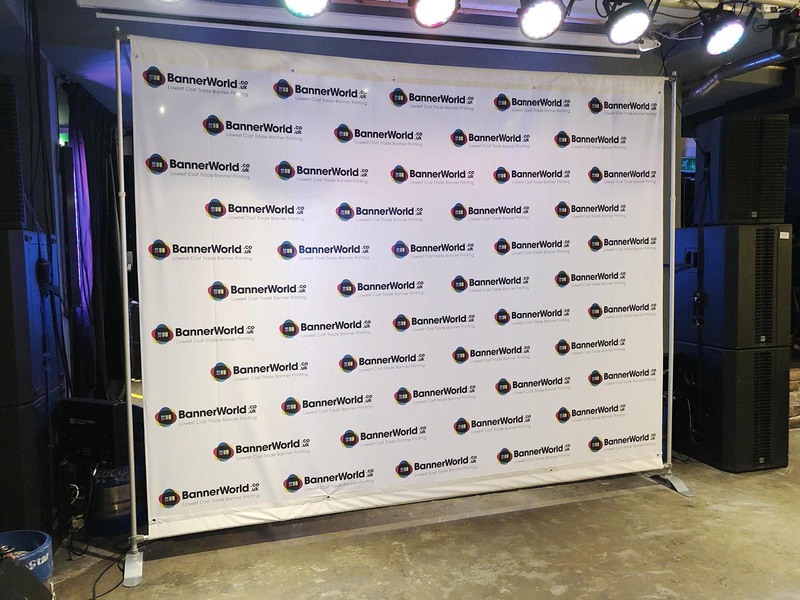 Great for step and repeat backdrops, press conference background banners, media backdrops and sponsor boards. The large visible area of 2.4m x 2.4m is big enough for most uses and portable enough to be taken and set up anywhere. 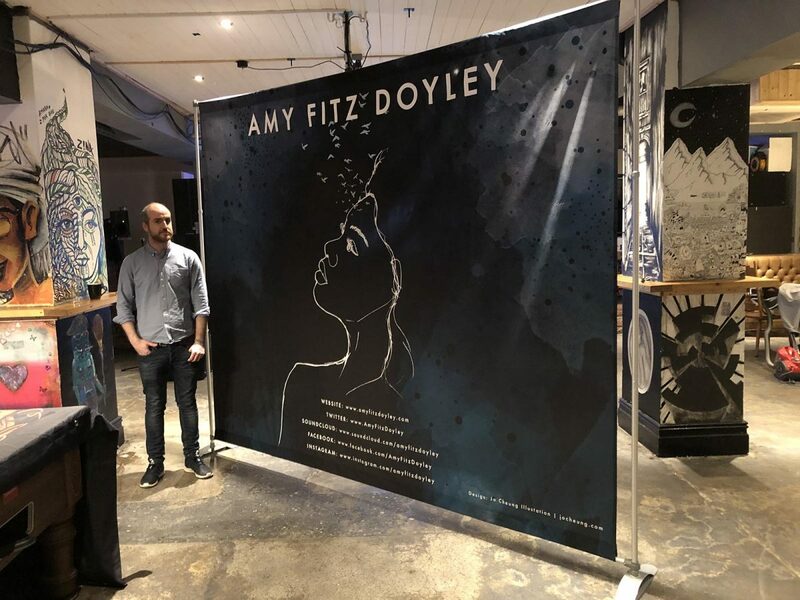 Really happy with our backdrop and stand, can’t wait for the show. Fast delivery, super item, staff at Banner World great to deal with. Great product, ideal for our school prom and our other events. 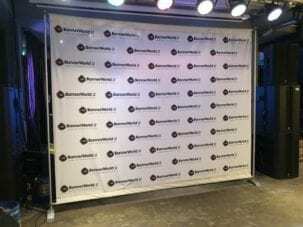 Design your backdrop with step and repeat sponsor logos for an ideal media or press backdrop. Easy to assemble, transport and store. 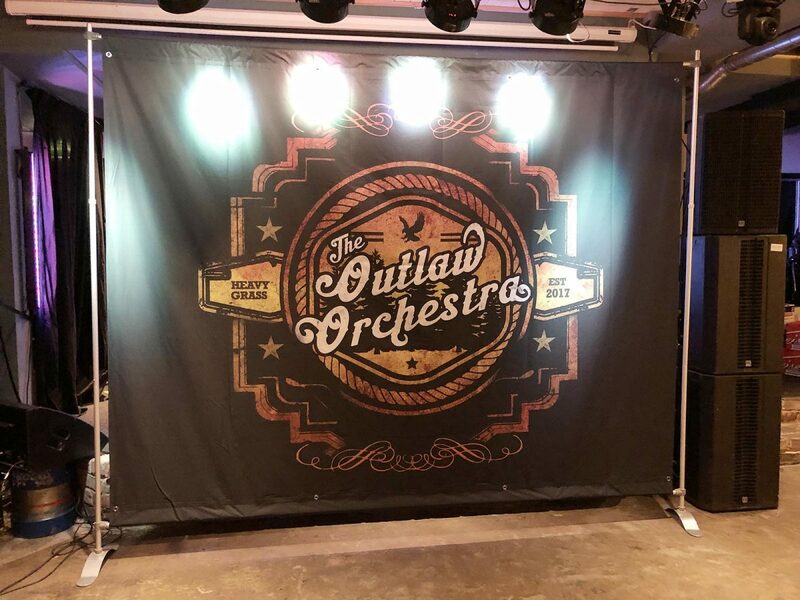 Replacement backdrop graphics can be ordered any time. 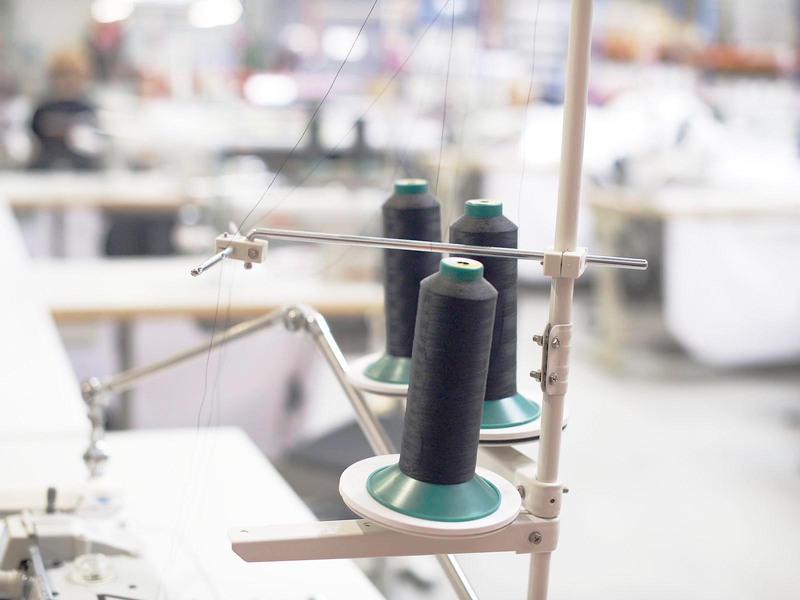 The included durable custom printed fabric is produced in full colour at extraordinary detail, producing pin-sharp logos and text or stunning photography. We print using dye-sublimation technology for vibrant continuous tone reproductions of your designs. Anti-glare to suit lighting from still and video cameras. 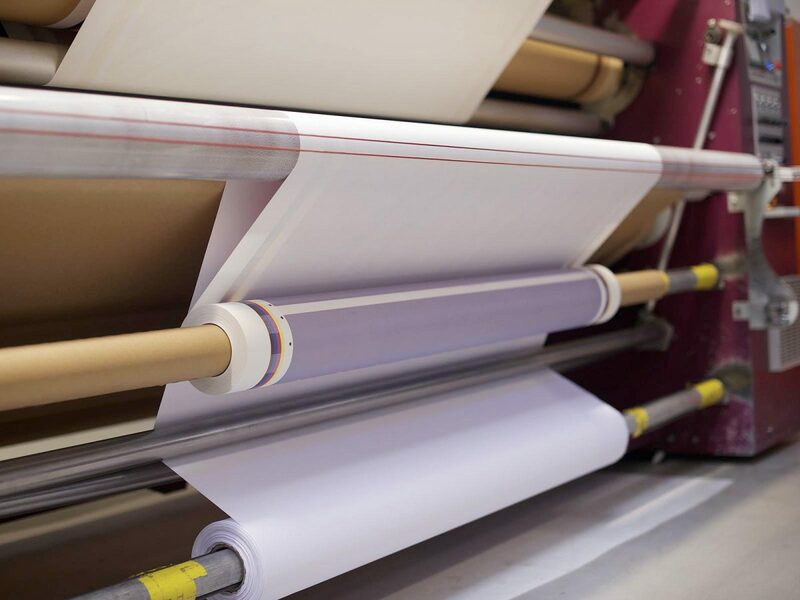 We use 210gms knitted polyester as standard – you can downgrade to PVC Banner to save costs or upgrade to Blockout Fabric if you think you may need to cut out light or shadows from behind. A double-sided press conference backdrop option is also available. The metal stand is telescopic and adjustable, expanding to 2400mm x 2400mm, making it ideal for press photo shoots at a range of venues and events. Crossbeams fit top and bottom in order to tension the included fabric graphic panel. Designed with regular use in mind, this is a sturdy and strong structure. 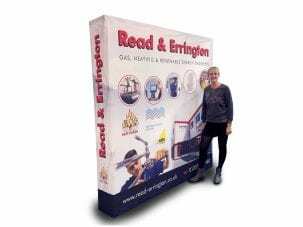 Replacement graphic panels can be ordered anytime from just £106.00 each and the stand has a 5-year manufacturer’s warranty. In the unlikely event of failure, we will replace any components as necessary. Our larger Press Backdrop Maxi extends to 3000mm x 2400mm. The best designs are often a simple step-and-repeat pattern of brand logos, called step and repeat backdrops. Main logos and a strapline can be placed above head height for maximum brand impact. You can use our press conference backdrop template as a base for your designs. If larger backdrops are required, consider placing 2 or more Press Backdrops side by side, or have a look at our larger Stage Backdrop and Yukon Wall products. Can we order addtional backdrops? Yes, you can order additional backdrops at any time from just £106.00.